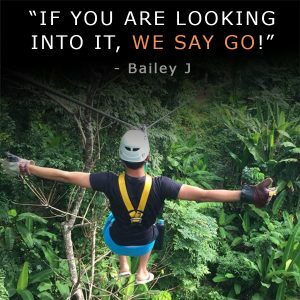 If you are looking into it, we say go! 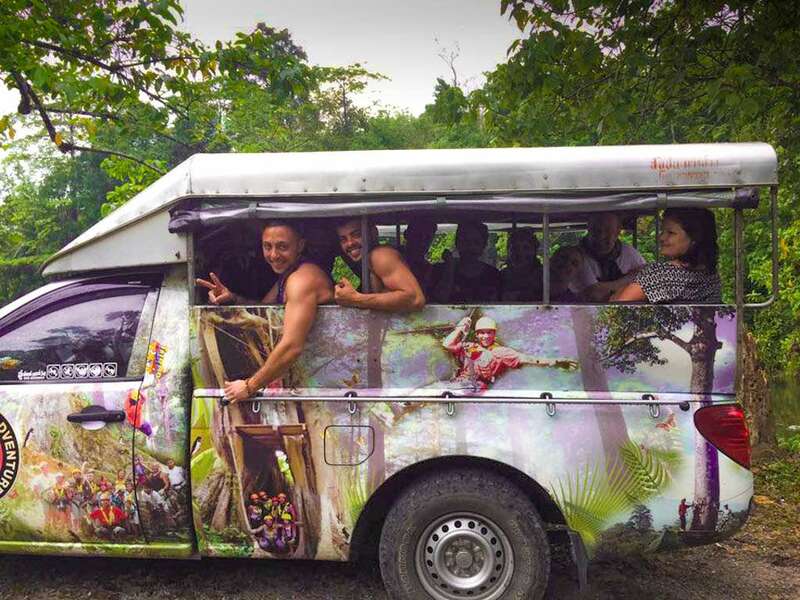 Brilliant Experience - Highly Recommended! You'll definitely love this! Fun, Safe and Memorable. So much fun, I wanted to go again!! 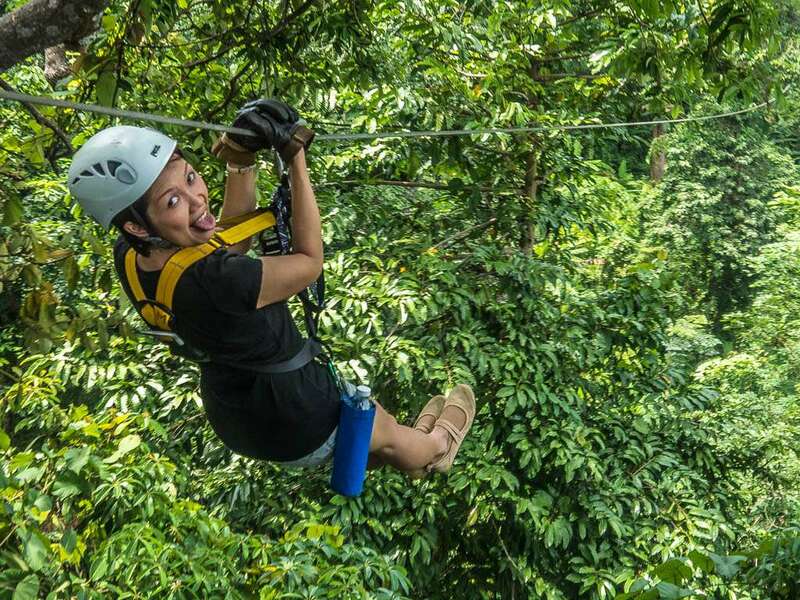 Just zipped my way out of my comfort zone!... one of the highlights of our trip so far! 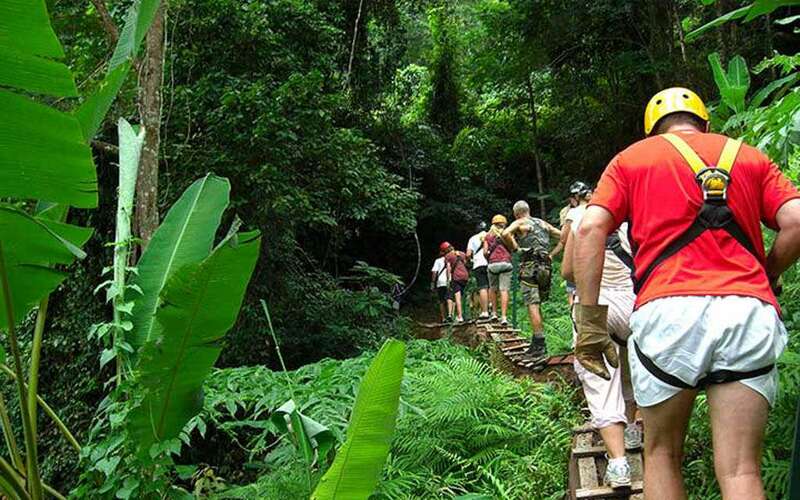 One of the best things you'll do on Phuket! 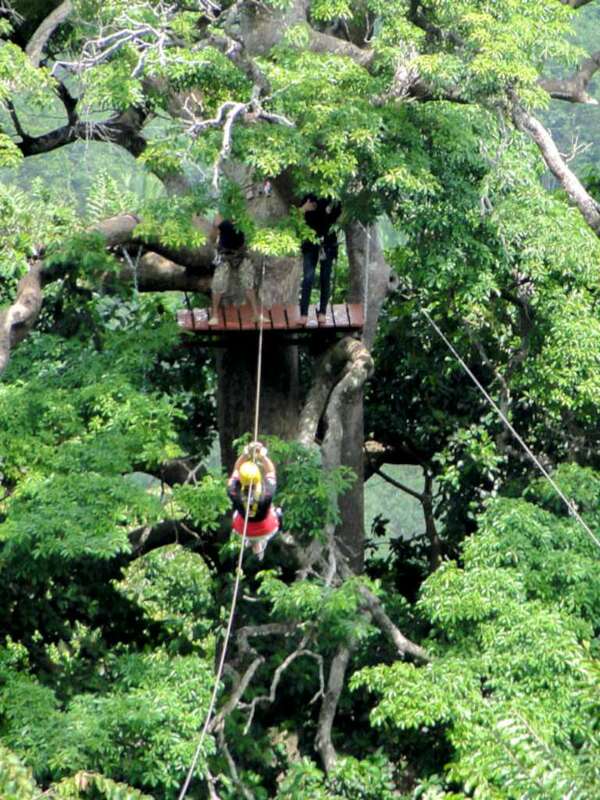 Definitely worth a go, So Fun! Best experience ever! Best driver and best staff. Totally recommend it! Fantastic experience, the staff are amazing. 10/10!! Safety is their number one priority, great experience! 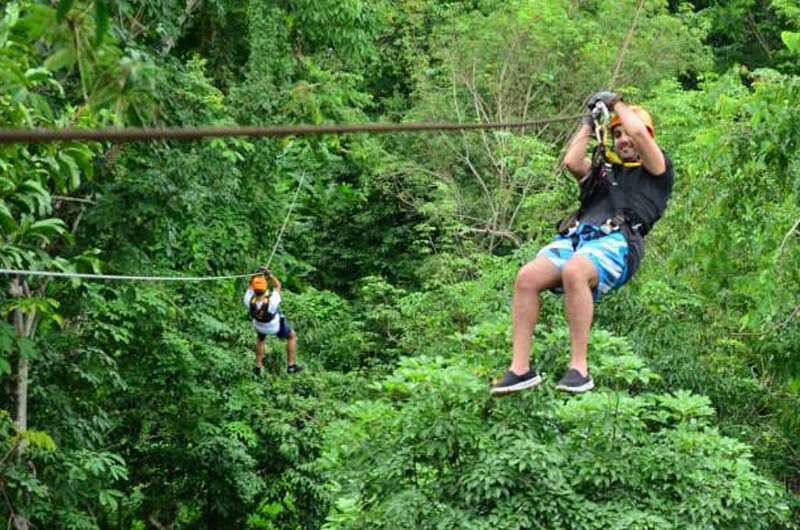 Phuket’s Original Zip-line Canopy Experience! 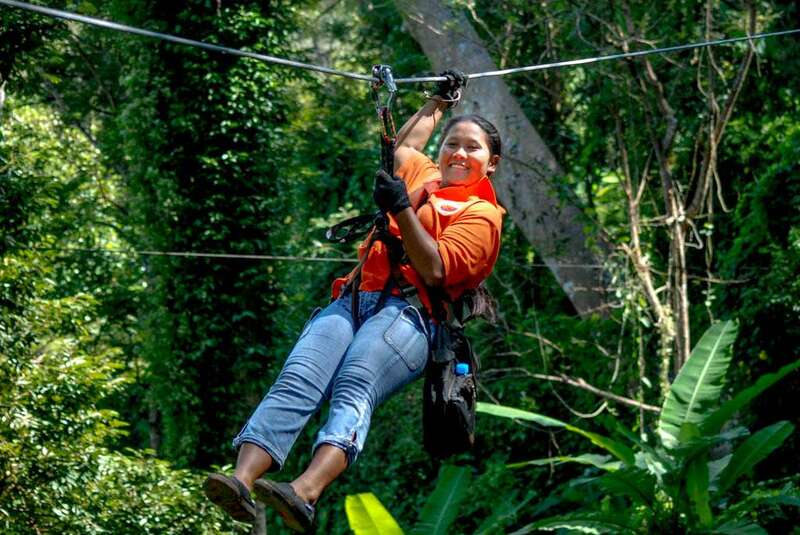 Based deep inside the rainforest of Phuket, Thailand, surrounded by ancient trees and natural wonders, Cable Jungle Adventure Phuket provides a safe, fun and fast eco-adventure for everyone. 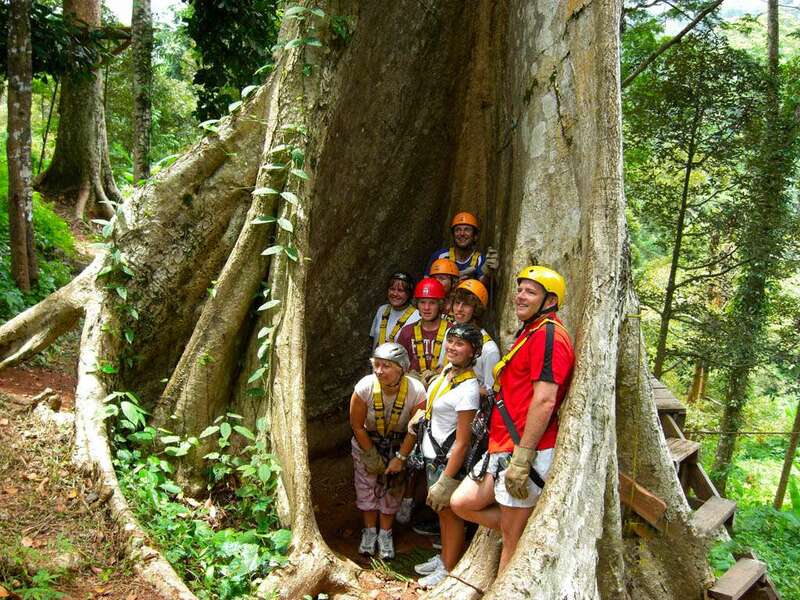 Experience a thrilling journey which takes you soaring among the ancient trees, lush tropical wildlife and breath taking scenery. 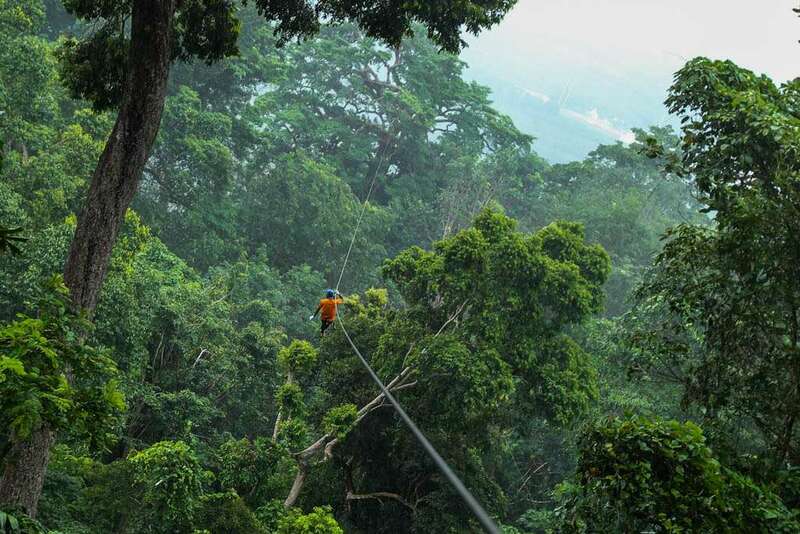 We invite you to experience 360-degree panoramic views of the jungle (no man-made structures in sight) whilst conquering our 21 stations, 2000 metre cable run length and experience flying through the forest canopy – up to 50 metres above the lush jungle floor! 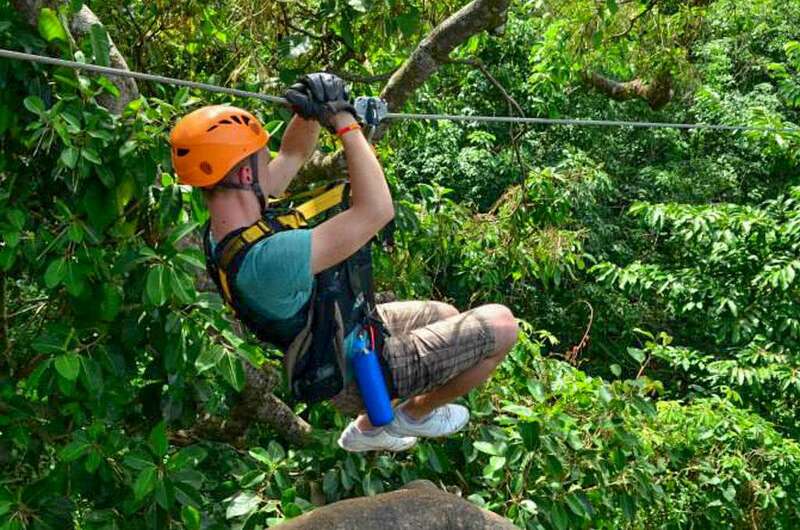 Cable Jungle Adventure Phuket has more than 20 years of experience in canopy zip-line adventures, well trained staff and use only the highest quality international-standard safety equipment. 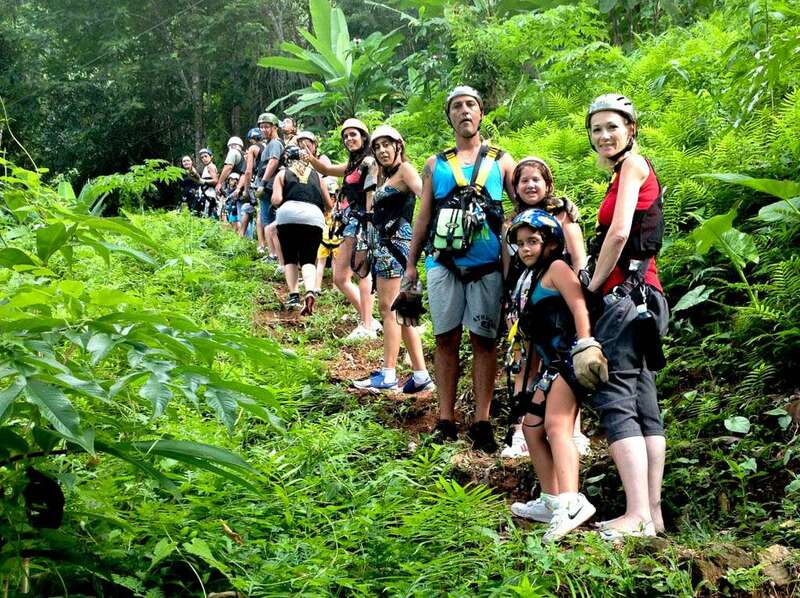 We provide onsite training as part of your excursion. 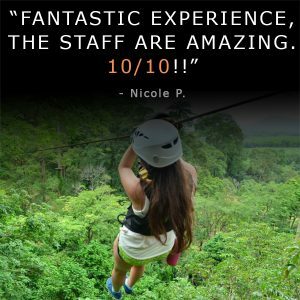 Take a Peek At Our Facebook Page And See Why Cable Jungle Adventure Is The Fan-Favorite Canopy Zip Experience On Phuket. Fun-tastic Experience! 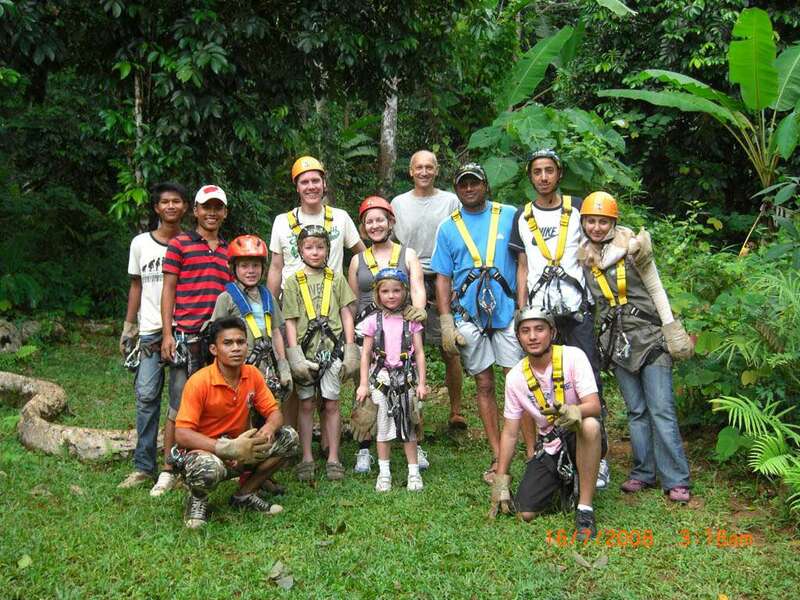 Family-run business, one is greeted warmly, instructed on the safety rules, and the fun is about to begin … The views are amazing, the variety of butterflies, birds and plants you get to see is stunning. 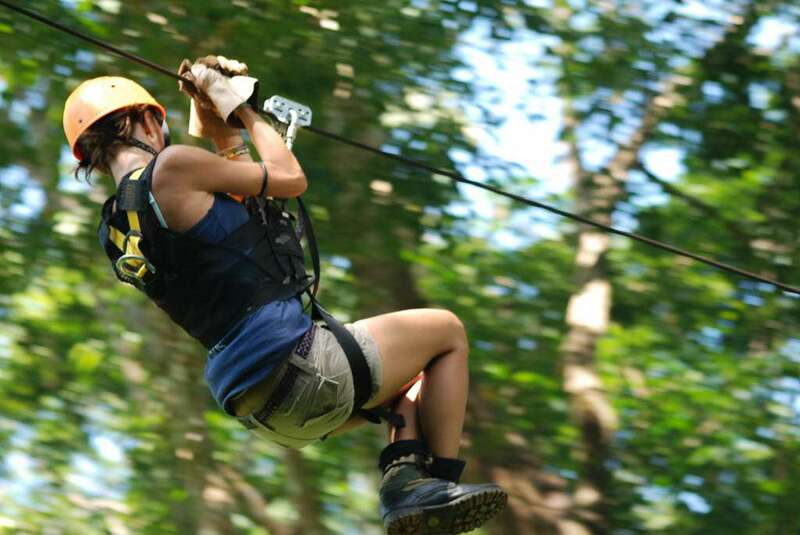 And the all-in-all 21 ziplines are just great: some long, some steep and fast, others slower, but all offering amazing flights just above the treetops. Their gear is state of the art, the whole place is in well kept condition. We had an amazing time! The staff was super friendly and accommodating. We felt very safe, they took plenty of pictures for us (for no additional charge) and snacks were provided. 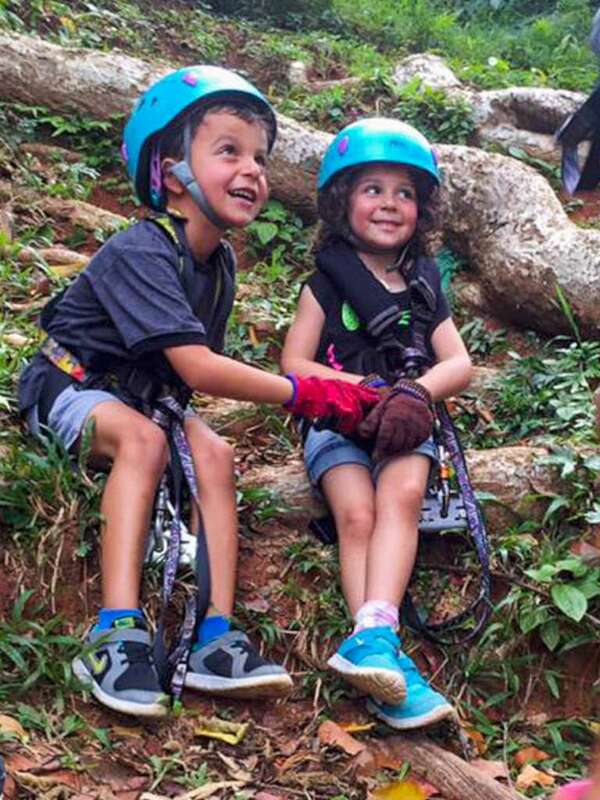 I was initially a bit anxious as I had our 7 yr old with us that doesn’t always listen to instructions and we were so high off the ground … But we had 2 instructors with us the whole way and after one careful zip line she was off !! Great fun, good exercise, great scenery, safe, friendly instructors who are great at their job and would recommend to anyone !! !